How Dating Apps are Leveraging the Power of AI for Making Best Matches? Business process management needs great attention and time. The problem in scaling a business or making employees more productive by reducing the time that is spent on repetitive manual tasks is about to end. 2018 is an interesting year for us because our specialist field of AI and RPA has got momentum. Well, the future of RPA starts now. With experimentation going on all over the world, we are here leveraging the potential use of RPA in business for better ROI and increase productivity. It’s time you must handover those monotonous daily office tasks to a Robot and let your employees potential to do greater creative jobs. 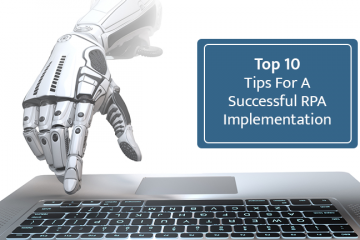 This blog talks about RPA and how businesses can use it for a better outcome. 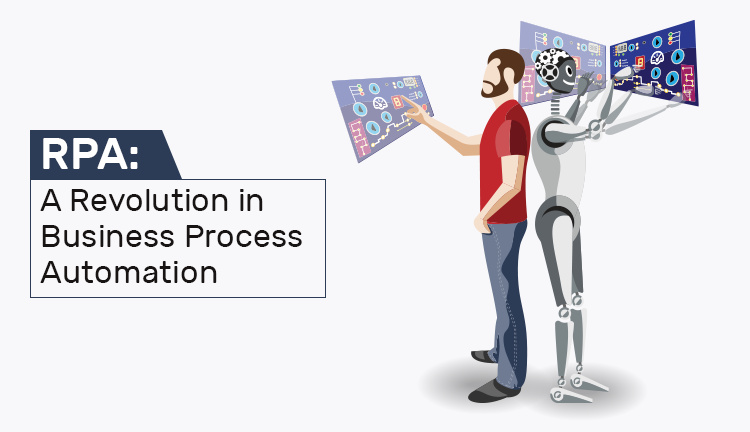 Robotic Process Automation is an execution of technology, managed by business logic and structured inputs, focused on automating business processes. 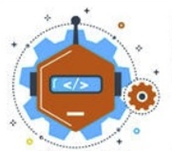 Using RPA tools, an enterprise can configure software or a robot to capture and interpret applications for manipulating data, triggering responses, processing a transaction, and communicating with other computerized frameworks. Automation has been around for decades; however, cloud computing and other innovative technologies enabled the expansion of RPA. The rise of the term “robotic process automation” can be dated to early 2000. Screen scraping software, workflow automation & management tools and artificial intelligence are the three predecessors of RPA. Unlike the predecessors, RPA is not dependent on coding. Many of the RPA software utilizes Optical Character Recognition technology that eliminates human interference. RPA is one of the most popular Artificial Intelligence application areas as it let companies with traditional system to smoothen their workflows by developing a specialized representative which can perform clerical tasks. What are the benefits of RPA? RPA is here to stay, the faster you understand its potential, the faster you can make a better position for your business. Guaranteeing business tasks and procedures observe rules and regulations. How can a business use Enterprise RPA? Walmart, Ernst & Young, Deutsche Bank, Walgreens, Anthem and American Express Global Business Travel are among the many enterprises adopting Robotic Process Automation. Enterprise RPA delivers results at a boundless scale, helping companies achieve digital businesses fast and get the advantage on their way to Artificial Intelligence. Account Management: Companies can use RPA for general accounting, operational accounting, value-based reporting, and budgeting. Customer service: It help businesses offer better customer service by automating contact focus tasks, uploading scanned files, verifying e-signatures and confirming data for automatic approval or rejection. Financial services: RPA is useful in foreign trading, initiating account openings and closings, overseeing review demands and handling insurance claims. Human resource: RPA has the capability to complete HR tasks like onboarding and employee exit management, registering employee information and timesheet submission processes. Monitoring supply chain: RPA helps in a 50 % cost reduction in supply chain management. It can also be used in checking stock levels and following shipments. Healthcare: Medical institutions can use RPA for handling patient records, insurances, customer care, billing, account management, reporting, and analytics. Sphinx’s view on Why your business needs RPA? There is a big push to automate as many business operations as possible. Every business wants to reduce operation cost by introducing innovative technology. RPA make business processes faster, more accurate, and more secure. RPA is applicable in the various industry like banking, insurance, health or telecom. RPA tools come with efficient features like easy in setting up environment, scalability, cognitive business processes and more which help enterprises to maximize the gross output. According to McKinsey and Co., one could automate 45% of tasks using RPA. The evolution of RPA is such that transformation will become faster and business models will be aided in much more extreme ways. Organizations that are currently taking the step ahead will see a huge opportunity to develop faster. The time is definitely changing, in fact, we are experiencing a surge in demand for our services. Our qualified and dedicated RPA specialists having enriching experience of industry-specific RPA solutions can guide with the best solution. 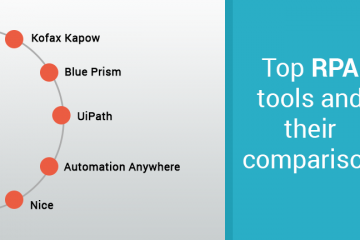 The experience of handling key RPA product platforms like Kofax, Blue Prism, and UiPath offer greater exposure. Let’s make your business smarter and efficient together, come talk to us today for a free consultation. Anand is the Founder of Sphinx Solutions having experience more than a decade. His passion for innovation and technology made him drive Sphinx Solutions with ease. He holds excellent management with a futuristic view for developing apps in the field of AI, Blockchain, Mobile, Web and Software.